The Mahindra app allows personal users to control their mobility and the EV ecosystem on the go. New Delhi : Mahindra EVs has successfully covered 100 million kilometres on Indian roads and to celebrate the occasion the Mahindra Electric has launched the Nemo Life App. The app is called the next-generation mobility app. To inform, Mahindra Electric is one of the leading EV manufacturers in India and claims that it has studied the usage pattern for its EVs running in India and has worked on the Nemo Life app that allows personal users to control their mobility and the EV ecosystem on the go. Mahesh Babu, CEO, Mahindra Electric said "I would like to thank all our customers, dealers and all stakeholders for their continuous support that has helped us to become India's first automaker to complete over 100 million electric Kilometres. To put this number into perspective, one can imagine going around the earth 2,500 times. The learnings from this milestone have gone into the creation of the Nemo Life app for our personal car users, for them to experience the very best of connected electric mobility." Mahindra's EV usage pattern study included the charging cycle, real-time driving data, vehicle controls along with a bunch of other data. Mahindra used its learning to develop many unique first-in-segment features on the app, thereby making mobility connected and convenient. 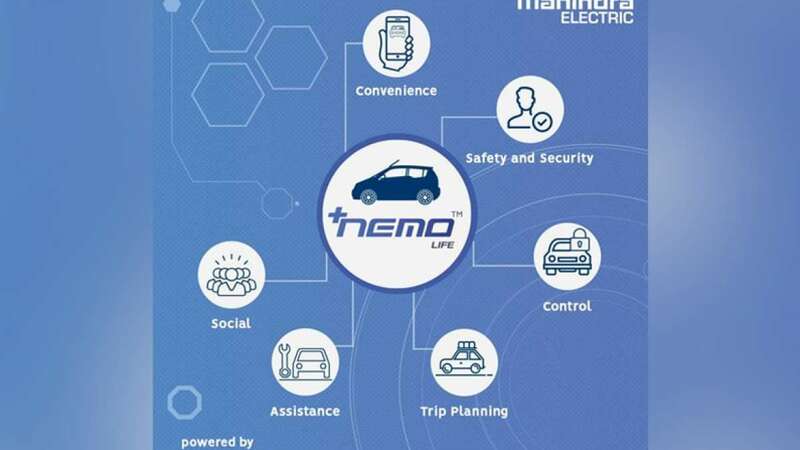 The Nemo Life App gets more than 40 features and is a cloud based platform which makes it easier for connected mobility experiences and enhance electric mobility. The new mobile app is available to download on both the iOS and Android platforms. Mahindra says that its EVs have saved over 11,000 metric tonnes of CO2 emissions in India which is equivalent of planting 5 lakh trees in order to absorb the emissions.